What is Action to you? 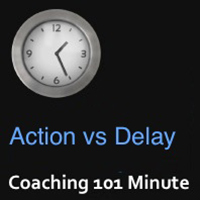 How does Delay show for you? Sometimes we feel that being in action all the time is too exhausting, even not possible. How many times have you heard someone say that they can’t be in action all the time, that it is just not natural? We may convince ourselves that being in action is not always possible. Let’s look at what being in action looks like. Being in action doesn’t only mean running marathons, climbing mountains, acquiring businesses, finding a partner etc. We sometimes feel that action is huge and therefore must be about physical movement and that movement must be huge or we are just not successful or moving forward. This is not the case. A small thought can create a huge shift which in turn can change our whole life. This is action. Reading, thinking, meditating, reflecting, writing, talking, coaching, walking, mentoring- all of these steps create movement and movement is action. Sure we can talk and talk and not move forward, but with a coach this is not possible. All of these steps require us to want and to be open to moving forward. They all then become forward movements. This is action. Q. Can I add Coaching to my existing profession as a Project Manager? Q. 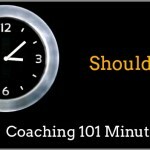 What is the role of responsibility in coaching? Q. How do we charge clients?